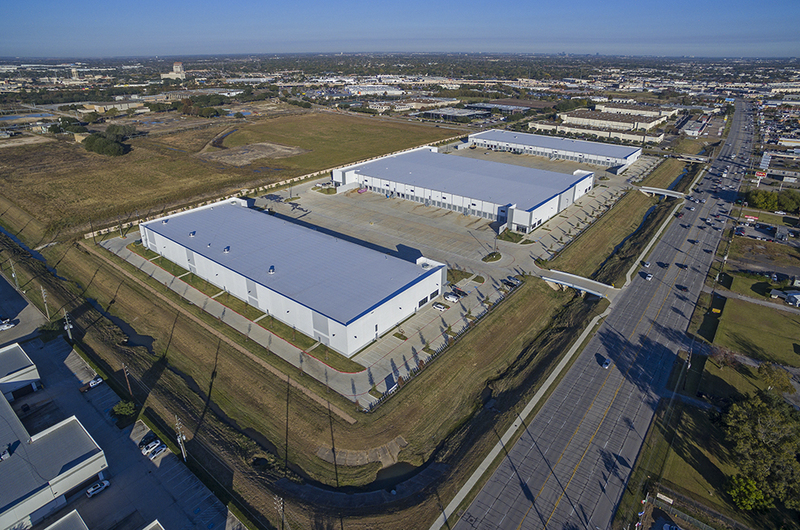 HOUSTON – (Realty News Report) – Black Creek Group, a Denver-based investment and development firm, acquired Stafford Grove Industrial Park, three warehouse buildings totaling 351,960-SF in Stafford on the southwest side of Houston. The seller, an investment group led by Crow Industrial Holdings, was represented by Trent Agnew and Rusty Tamlyn of HFF, along with HFF analyst Dane Petersen. The development, completed in 2017, is located at the corner of Murphy Road and West Airport Boulevard. The property is 84.5 percent leased to seven tenants with an additional 54,550 SF of vacancy remaining in two spaces. Features include 24- to 30-foot clear heights, a total of 120 dock-high doors, 130-foot truck courts, three drive-up ramps and 38 trailer parking spaces between each building.